In the ongoing war against economic espionage – especially by China - the good news for the American private sector is that machine learning (ML) and behavioral analytics, are offering some promise of detecting hackers before they start exfiltrating trade secrets and intellectual property (IP). The not so good news is that those businesses are not going to be getting much help from the government. Even mainstream media organizations are reporting that the agreement has had little effect. The CBS TV news magazine “60 Minutes” devoted a segment of its Jan. 17 show – four months after the agreement – to the continuing theft of trade secrets and IP of American companies, labeling it, "the great brain robbery of America." In the segment, Dmitri Alperovitch, cofounder and CTO of CrowdStrike, told correspondent Leslie Stahl that following the agreement between President Obama and Chinese President Xi Jinping, the hacking of U.S. companies continues. It has simply been transferred from the infamous Unit 61398 of the People’s Liberation Army that has hacked multiple American businesses including the New York Times, to an intelligence unit that is China’s version of the CIA. “In effect, they said, ‘You guys are incompetent. You got caught. We'll give it to the guys that know better,’” Alperovitch said. The combination of machine learning and behavioral-based detection and prevention is much more effective. Experts also say that even the highly publicized arrests last fall by the Chinese government of “a handful of hackers” connected to the catastrophic breach that exposed the personal data of more than 22 million current and former U.S. federal workers don’t really change things. And, while the U.S. government has issued multiple threats over the past several years that it will impose sanctions on China if the cyber economic espionage continues, it has not imposed any yet and nobody expects it will. “The Chinese economy is already weak, and sanctions would only hurt it more, which would directly affect the U.S. economy and jobs,” Munroe said. Arrests, convictions and jail sentences create a justifiable defense that the Chinese are following the agreement while covering up their illicit activities. But, security experts say defensive tools are improving, in part thanks to broad awareness that perimeter defenses are not nearly enough, and also because of the growing technological capacity to collect and analyze data. “There is a growing shift in the industry away from signature-based technologies, as they are not enough to detect and prevent today’s sophisticated adversaries,” Alperovitch told CSO. “Traditional detection technologies look for known sequences in files, and block those known to be associated with malware. The issue is that the signature for a given malware element can be quickly and easily changed – far more quickly than anti-virus vendors can adapt to the changes,” he said. There is still an ongoing debate over the value of ML. The research firm Gartner ranked ML among the top five technologies at the “peak of inflated expectations” in its 2015 Hype Cycle. But Ariel Silverstone, a consulting chief security and privacy officer, told CSO in December that he believes ML is, “severely, significantly under-hyped.” Not only can it detect intrusions, he said, it can predict them, to the point where it is possible to ask the machine, “Will I be attacked next Tuesday from China at 3 p.m.?” and get an answer that has a better than 99 percent chance of being accurate. We’re able to identify oddities sooner by connecting the dots between behavioral and contextual signals that could signal an attack is likely. Alperovitch cites similar experiences. He said machine learning has made it possible to collect “massive amounts of threat intelligence” through crowdsourcing, and then analyze it for what he called Indicators of Attack. Those indicators make it much more difficult for an adversary to hide during the early stages – “reconnaissance, expansion and data-staging – of an attack", Munroe said. That doesn’t mean everybody is using it, or knows how to use it. It also sounds expensive – possibly much too expensive for SMBs, but Alperovitch said it is becoming both more accessible and more affordable. “The industry is gradually moving towards making entry-level options available,” he said, “whether it’s access to intelligence or technology solutions. Munroe has a similar message. 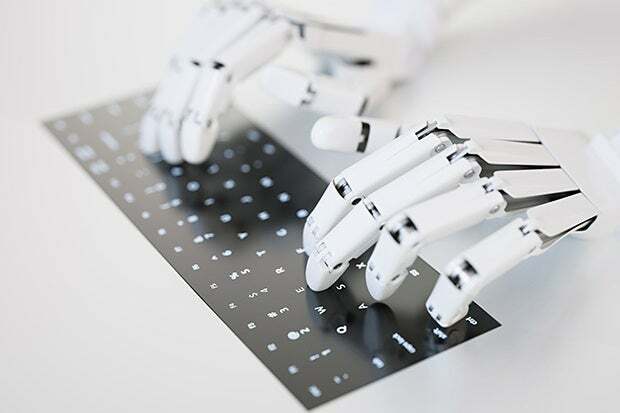 “Before the age of Hadoop and big data, most organizations did not have the data to feed a machine learning-based system,” he said. “But that has changed because even if you do not have this infrastructure you can use a cloud-based system. That combination of machine learning and behavioral analytics tools, he said, is good enough to catch even nation state-sponsored hackers.